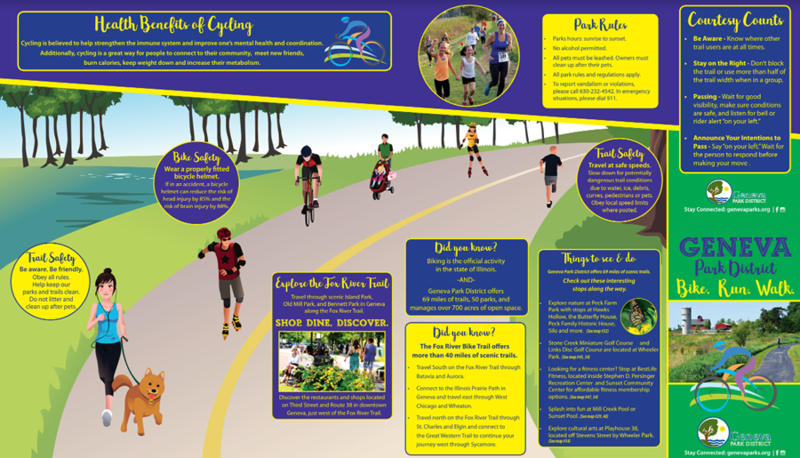 Did you know biking is the official activity in the state of Illinois? 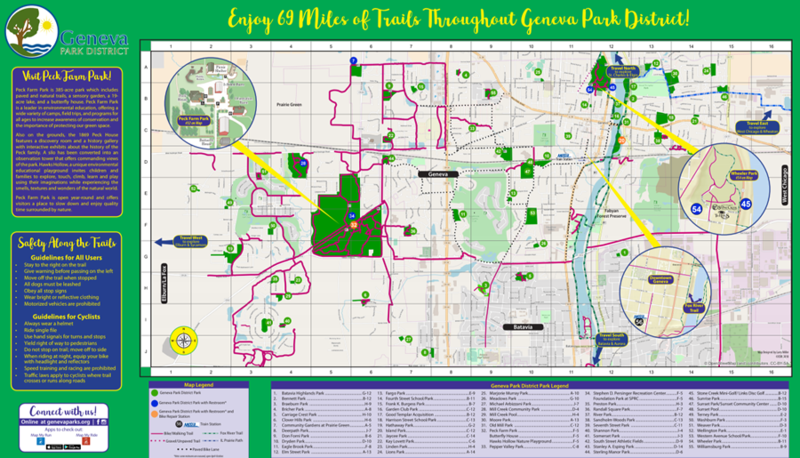 Geneva Park District offers 69 miles of trails, 50 parks and over 700 acres of open space. Discover the parks and their amenities through the online park directory, locate a park with ease using the interactive park map, and escape and experience nature at its best at Peck Farm Park. Looking to Explore Beyond Geneva? Use the new Kane Kendall Council of Mayors Bike & Pedestrian App! The KKCOM Bike & Pedestrian App has been developed to enhance recreational activities, daily commuting, and tourism opportunities for the residents and visitors of Kane and Kendall County. It includes bike trails and lanes, bicycle levels of service, amenities, parking and restroom locations, parks, public transportation, nearby services, and a way to report trail issues.